Printmaking in Paradise September 3-14 this year! 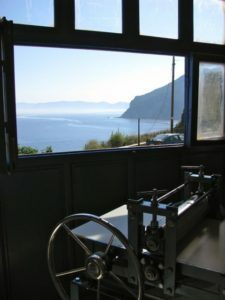 Can you imagine making your prints with a view like this out the window? You still can in 2018 if you contact Basil Hall Editions by email soon. Victorian artist/printmaker David Frazer and I, assisted by Pam Boyer, are taking another group of Australians to the beautiful Greek island of Skopelos at the beginning of the northern Autumn. For just under two weeks, you can make wood engravings, etchings, relief prints, mono prints or collagraphs in our studio with a view with a group of like-minded artists (ability ranges from experienced to enthusiastic). There will be time for a day’s sailing trip to the island you see in this photograph and lots of walking, shopping, sitting, eating, drawing and relaxing. Well over 120 people have joined Steph Bolt and me for workshops on Skopelos over the last 6 years (Steph runs her workshops earlier in the year – in May and June) and all have been captivated by the place. Many have returned (as many as 5 times) and some have even bought a house on the island! Contact details for me (Basil) on this website.